November 2016) continues protagonist Uhtred’s saga to reclaim his birthright as Lord of Bebbanburg. The front courtyard of Bernard and Judy Cornwell’s Tradd Street home is charmingly inviting. Cheerful pansies abound, boxwoods are gently manicured, and above them, two window boxes are chock-full of perfection. There are roses, greenery lapping over old bricks, a wrought-iron fence: it could be a Charleston postcard, or perhaps one from England, or both. Inside, winter’s unfiltered sunshine floods the tidy living room. Tea is offered. Whiskey, the “perfect dog”—an excited Cavalier King Charles spaniel (of course)—wags and licks a jolly good welcome. “He’s absolutely spoiled rotten,” Bernard warns, and on cue, Whiskey bounces up on hind legs to concur. 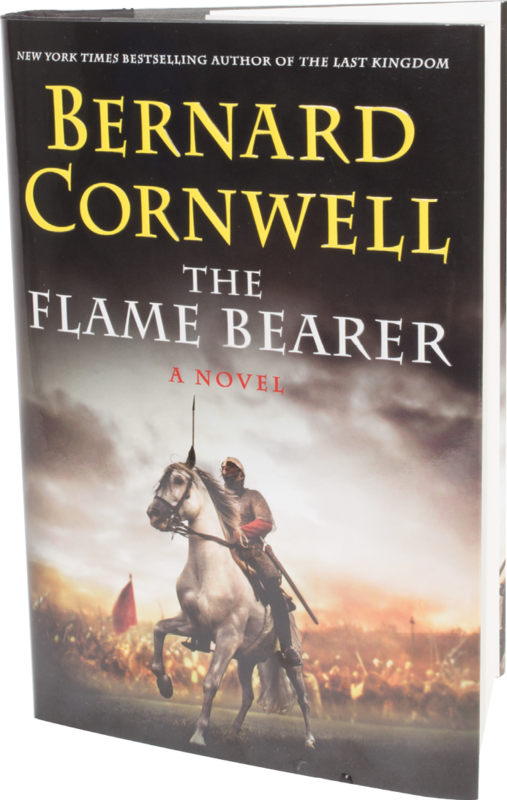 The latest in Bernard Cornwell’s oeuvre, The Flame Bearer (HarperCollins, November 2016) continues protagonist Uhtred’s saga to reclaim his birthright as Lord of Bebbanburg. It’s all lovely and delightful, down to coasters customized with Whiskey’s handsome profile and the emerald-sequined parrot head Mary Poppins umbrella in the front-hall umbrella stand. You’d never imagine that in the upstairs study, all bloomin’ hell breaks loose. Epic battles. Fights to the bloody death. Gruesome, gut-strewn clashes of chain mail and swords. Yes, right here on well-mannered Tradd, warriors gnash, lovers lust, heads roll, revenge is taken, fates of nations are decided, and history is made, or at least retold and reimagined. “It was an extraordinarily gory time,” says Cornwell, the author of 50-some works of historical fiction, including his wildly popular Saxon Stories that recount the particularly gruesome Alfred the Great era, when fearsome Vikings and valiant Saxons didn’t bother with the niceties of tea. And, evidently, bloody perfect fodder for best sellers. 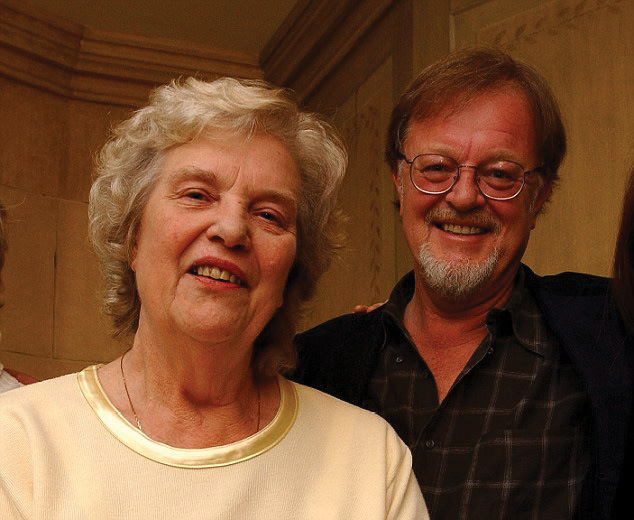 Despite having sold 35 million books, and counting, Bernard Cornwell never set out to be a writer. Or to dig deep into the brutal underbelly of British history. But “destiny is everything” (or “Wyrd biõ ful ãræd” in Old English, which Cornwell intersperses with ancient names and place names), as his hero Uhtred says in the Saxon Stories, the most recent of which, The Flame Bearer, was published in November. Perhaps you’re among the fans smitten by Uhtred’s manly warrior ways, as played by the come-hither Alexander Dreymon, whose wiliness with swords and women drives the BBC America television drama The Last Kingdom, based on Cornwell’s novels and produced by none other than the Downton Abbey team. The eight-part series was dubbed “the thinking person’s Game of Thrones” by The Week and named one of the Best Shows of 2015 by Variety, and the second season, to be coproduced by Netflix, will stream in 2017. Lucky for Uhtred’s vast fan club, two more seasons have already been commissioned. 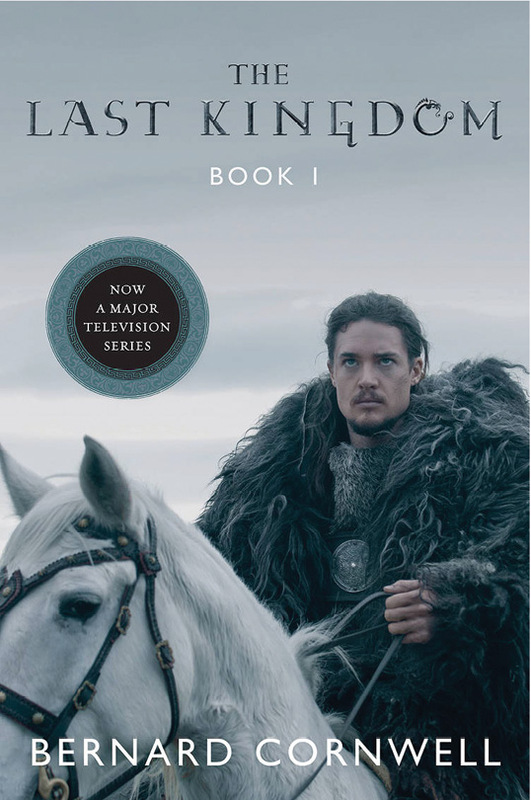 Played out in the rugged hinterlands of Northumbria, Wessex, and Mercia, Uhtred’s destiny as a nobleman’s son—who is orphaned by battle, captured and raised by the pagan Danes, and grows up to lead King Alfred’s campaigns against the Vikings and seek his rightful inheritance—echoes that of his creator. Cornwell, too, was a war orphan. It was 1944; his father was William Oughtred, a Canadian airman who had a brief affair with Dorothy Cornwell, a young British woman serving in the Women’s Auxiliary Air Force. By the time she discovered she was pregnant, Oughtred had returned to Canada, and her father convinced her to give the baby up for adoption. 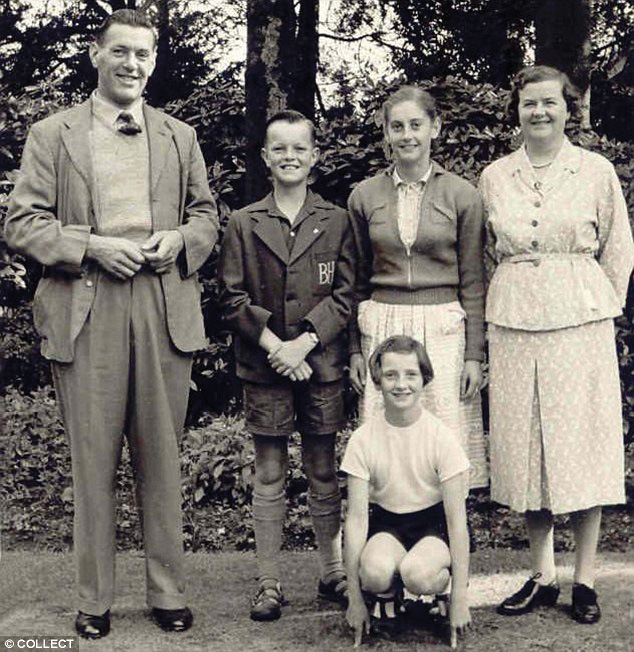 Cornwell became one of five children adopted and raised by the Wiggins family of Essex, fundamentalist members of the aptly named “Peculiar People” sect. “And peculiar they were,” he says. 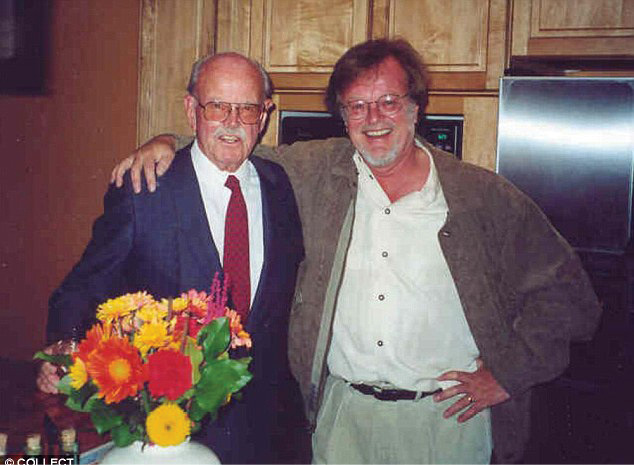 In their home, “the immediate object of our lives was to avoid sin,” Cornwell wrote in an essay that reflects on his less-than-happy childhood with an abusive father and resentful mother. The Peculiars disapproved of “medicine, alcohol, tobacco, cosmetics, military service, movies, high heels, comics, Roman Catholics, dancing, gambling…the list was endless.” That their son would grow up atheist, enthralled by all things military, and eventually write stories that would become TV series—tales of identity, quest, revenge, and indeed England’s own birth—is a twist of fate and irony at its finest. For the wry, chipper, and salty Cornwell—an avid sailor who spends summers in Cape Cod—destiny, and eventually his writing career, hinged on a certain elevator door opening in 1978. At the time, Cornwell was head of current affairs for the BBC in Northern Ireland, “which sounds a lot grander than it actually was,” he admits. “And in all their wisdom,” he says, slipping into a dainty Irish brogue, “the Northern Ireland Tourist Board decided to invite American travel agents to Ireland. It was the second-worst year of ‘The Troubles,’ bombs everywhere, so I decided to film it.” And that’s when “The Blonde,” as he occasionally, in a twinkle-eyed, tongue-in-bearded-cheek way, refers to his wife, Judy, walked out of an elevator. Cornwell got his literary feet wet by emulating C.S. Forester’s Hornblower novels, which he loved. “I grew up learning British history, and I guess that’s what fascinates me. I’ve been reading history all my life, but I’m not a historian, I’m a storyteller,” he says. Enter Richard Sharpe, a swashbuckling “loose cannon” British soldier (also an orphan) during the Napoleonic wars, and hero of what would become 24 books in Cornwell’s Sharpe series, as well as a popular television series featuring Sean Bean as the indomitable Sharpe. 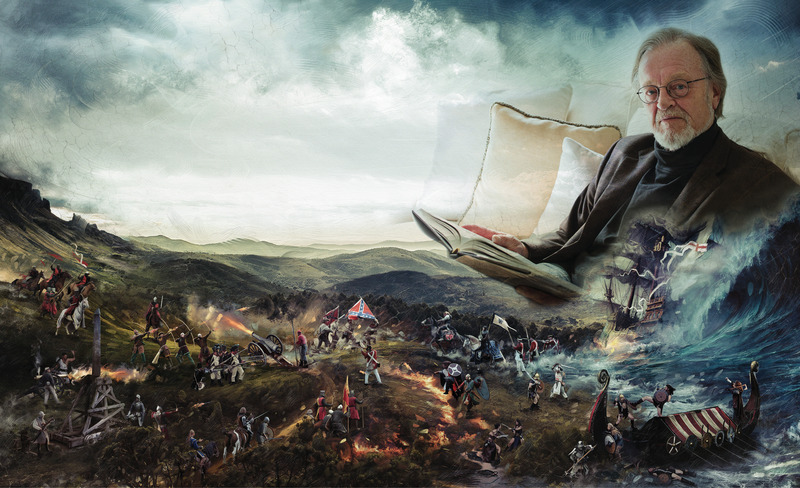 In addition to the Sharpe novels and the Saxon Stories, Cornwell, often at a pace of two books a year, has penned historical novels about the American Revolution, the Civil War, and one nonfiction book on the battle of Waterloo—all meticulously researched and masterfully told. 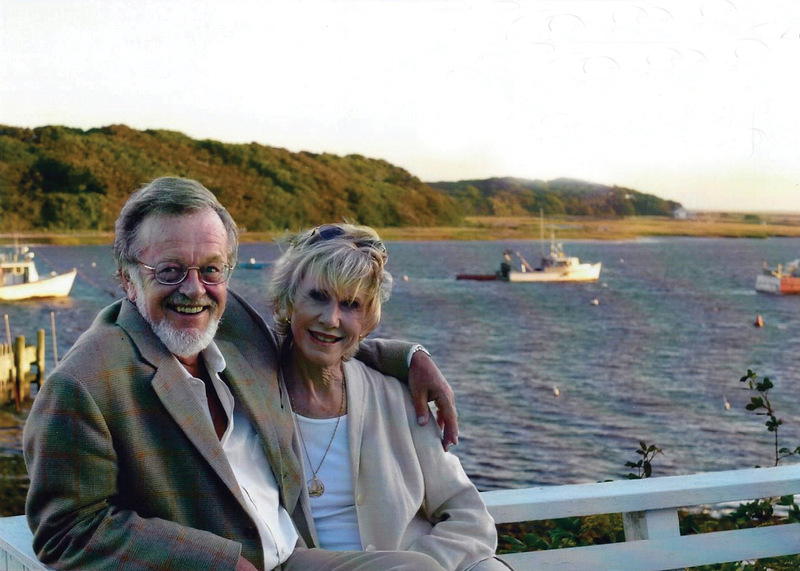 The Cornwells landed in Charleston seven years ago thanks again to the hefty winds of fate. Winds that came in an unexpected gust lifting Judy off the steps of St. Paul’s Cathedral during a visit to London and tossing her on the pavement, breaking her hip in four places. They were living in Massachusetts at the time, and Judy, once healed, didn’t want to risk slipping and falling in ice and snow. After visiting Charleston on a friend’s recommendation, they bought their Tradd Street home within 24 hours. 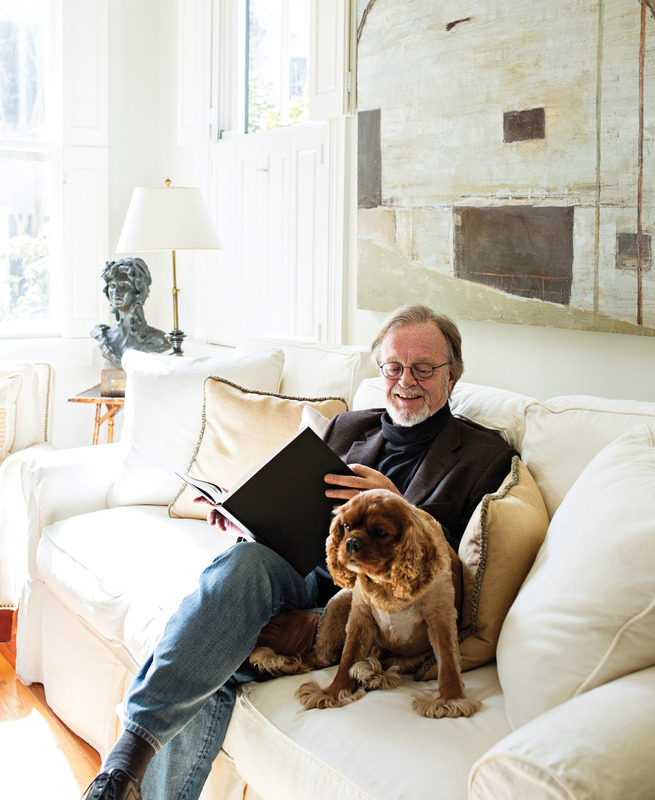 When fellow Charleston resident Daryl Hall, the musician of Hall & Oates fame and an avid reader, learned that Cornwell lived here, he asked for an introduction. “Bernard had no idea who Daryl Hall was,” says Cleveland, but the two became fast friends. Hall has since traveled up to Cape Cod in the summer to watch Cornwell dabble in his second love: acting. As in any good drama, there’s conflict—at least in the tale of how Bernard Cornwell the author morphed into Prospero in Shakespeare’s The Tempest, or, lo and behold, did a little song and dance number in Man of La Mancha. 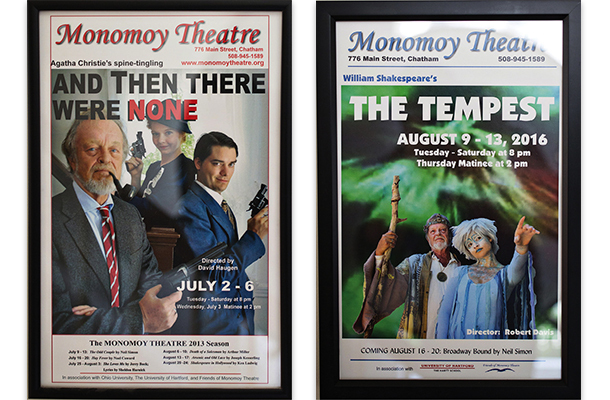 His acting forays over the last decade have been with the Monomoy Theatre’s annual summer stage program in Chatham, part of the University of Hartford’s The Hartt School theatre arts program, directed by Alan Rust. Cornwell’s version: he was asked to give the drama students a talk on the background of Henry V and so enthralled them with his account of the Battle of Agincourt “that by the end I had them cheering: ‘Once more under the breach, dear friends,’ and all that.” This performance led to Rust asking if he’d ever consider acting, according to Cornwell. “I played Duncan in Macbeth; he let me be a spear-carrier,” he laughs. Cornwell’s already learning lines for this summer’s production of The Good Doctor by Neil Simon, and perhaps a few other parts. But his passion for the stage has less to do with acting than with interacting. “It’s an extraordinary privilege to work with these kids,” he says. “They’re very, very talented. As Judy says, we get them before they’ve been rejected. 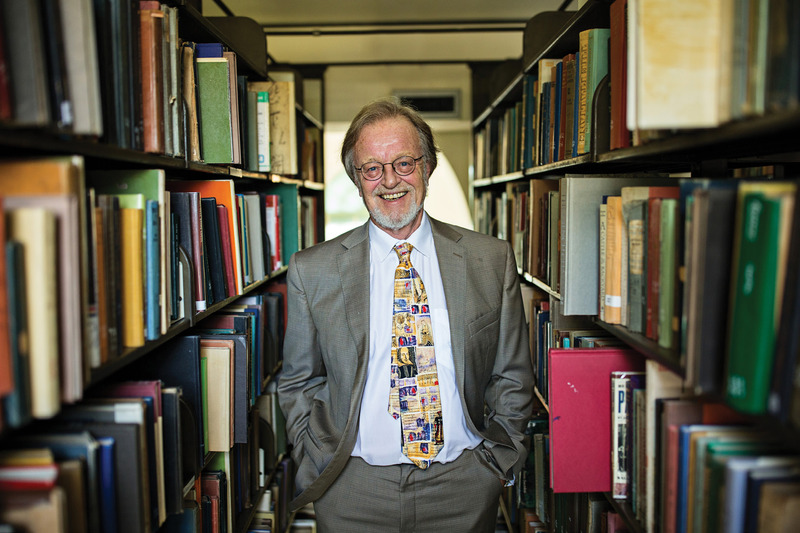 They’re smart, clever, irreverent, enthusiastic.…” Which is to say, they’re a lot like Bernard Cornwell. Birthday parties with the Queen: 1 On her 80th birthday in 2006, Queen Elizabeth bestowed on him the Order of the British Empire (OBE).